What Next after Repeat IVF Failure? IVF is an emotional journey, and Dr Kan understands that it can be heartbreaking to go through a number of cycles unsuccessfully. 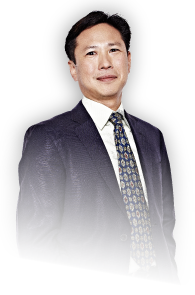 He specialises in finding a new approach to your treatment, so if you have experienced IVF failure your next step could be to book a consultation with Dr Kan.
Dr Kan will speak with your specialist first, as they frequently have a good understanding of what could have been done differently. He’ll gather as much information as possible from your previous cycles, and then discuss other options that may be available. Your previous IVF clinic may not have had access to the latest technology or protocols, so the second line of procedure could involve quite experimental science, such as Polscope or PGD. As IVF medication can sometimes have an impact on the uterus lining, low-dose IVF may be recommended - it still enables one or two eggs to be safely retrieved, and may have a higher chance of implantation success. Joseph and Penny* started IVF when Penny was in her mid 30s, after being diagnosed with unexplained infertility. Dr Kan helped her achieve pregnancy on her fourth cycle, at the age of 39.